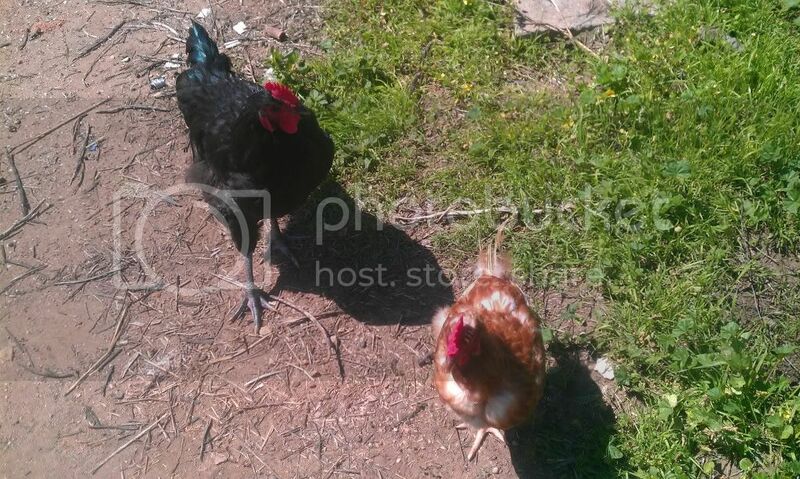 Backyard Poultry Forum • View topic - Boy or girl?? Australorp 24 wks old. Boy or girl?? Australorp 24 wks old. Post subject: Boy or girl?? Australorp 24 wks old. 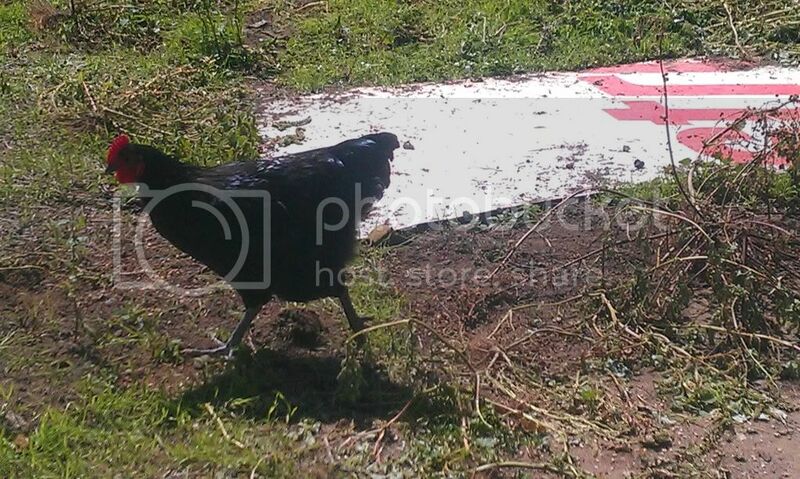 This Australorp was given to me as a cockerel by some people in town that couldnt keep a rooster. They got a few pullets (apparently they were Barters chooks if that helps) and this one was 20 weeks old when I got it and had noticably more size, tail feather, comb and attitude than its sisters so it was guessed to be a boy. Now about 4 weeks on and in with my Isa browns it still looks and acts the same. Its really only low in the pecking order and no attempts at crowing and no spurs. Ive seen other Australorp boys only a a couple of months older doing all the boyish things you would expect from a young rooster. My dad who grew up on a comercial chook farm of all Australorps reckons he should be crowing and struting by now so im unsure as to what it really is. Maybe not the best photos but im sure you can get the picture. it doesnt look as big in these pics but it is easily double the size of the Isa browns. Breed & age added to title. ( Will help with Indexing) D.
Post subject: Re: Boy or girl?? Ahh yeah. heaps obvious out there in person. You did well to pick that up from my dodgy pics. lol. I can make it out in the 1st one a bit though. Thanx heaps. Ill just have to be patient and wait for him to mature in his own time. so when should I start to see spurs roughly? If you look closely, there will be little spur "buds" on the legs now. They'll continue to get bigger as he gets older, but it can be 8-10 months before they develop an actual point, in slow-maturing breeds such as 'lorps. I thought i could make out "buds" on his legs but all of my chooks have a promenant scale in the same spot so I was unsure. His are more obvious but seeing as his legs are that much bigger I took it to be in scale (size scale not skin scale lol). You wouldnt read about. Well maybe here and now. lol. 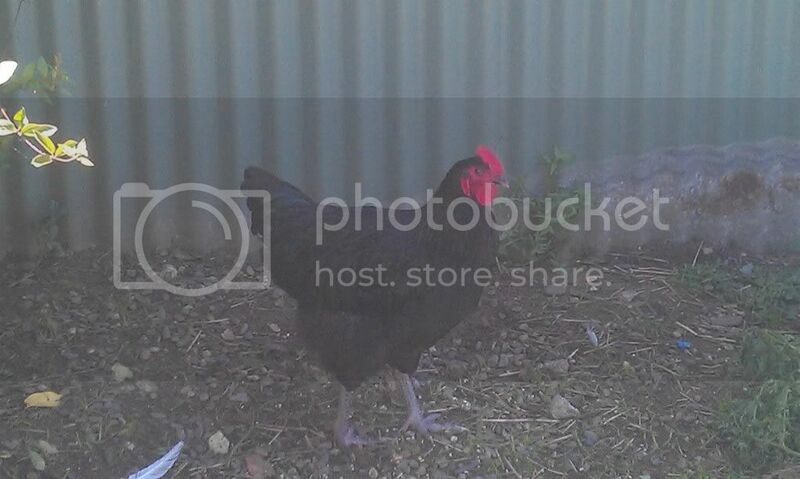 But the Chook in question started whole heartedly demonstrating his manhood today. I havnt seen an egg all day as hes been bothering the girls so much. Hes been almost going crazy with climbing on the perch and posturing, making loud squarks al most like a rooster crow, running around the yard and making loud noises and gesturing and flapping and giving the girls (all bar the boss chook) a terrible time. Im proud of the big fella hittting manhood so distinctly but feel sorry for the girls. They will all sleep well tonight. Post subject: Re: Boy or girl?? Australorp 24 wks old.